Shopping alert: Shopbop Big Spring sale! I love shopping and I probably love shopping even more if there is a sales going on. 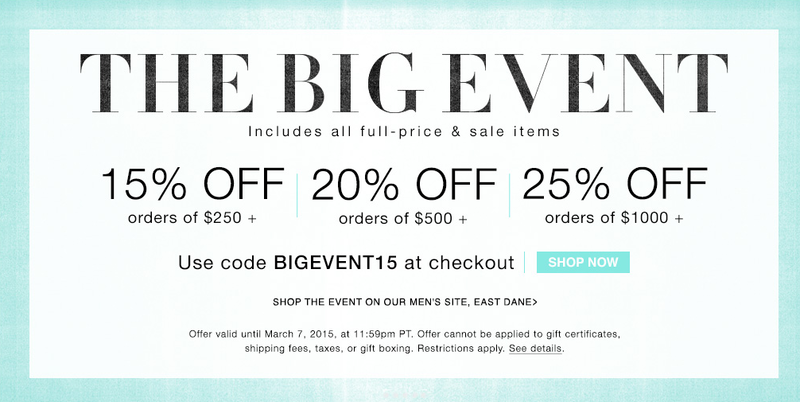 Shopbop.com is having their Big Spring Sale starting 3/3/2015 to 8/3/2015. Share this with your friends and family, gather everyone up because with more purchase you can get more discount!